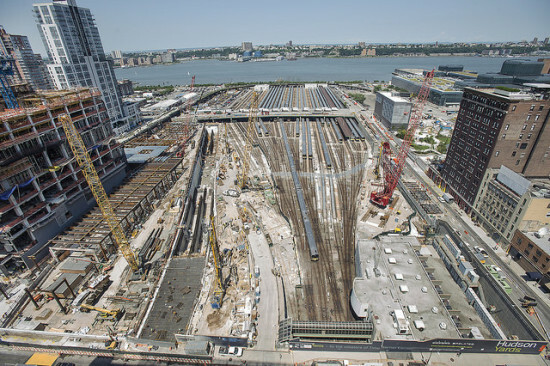 New York City's waterfront Hudson Yards development is a big deal—literally. 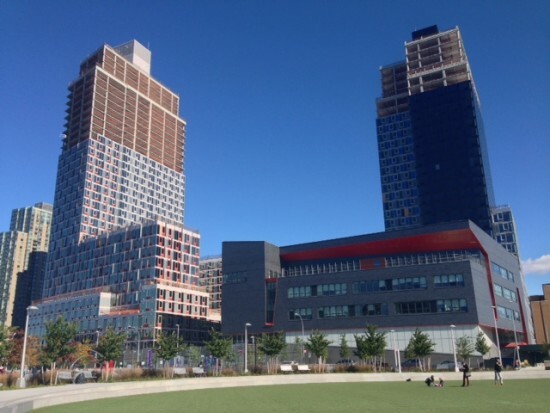 The largest private real estate development in the history of the United States, the project comprises 17 million square feet of commercial and residential space and 14 acres of public open space. Hudson Yards is having "a catalytic effect in terms of kicking off an entire new neighborhood," said Related Companies' Michael Samuelian. (Related and Oxford Properties Group have partnered with a number of high-profile architecture firms to design and build the project.) "We don't just focus on a building, but on the relationships between buildings—the spaces between the buildings themselves are just as important." Samuelian and KPF's William Pedersen, whose firm is designing three skyscrapers for Hudson Yards, will deliver up-to-date information on the work in progress at next month's Facades+NYC conference. 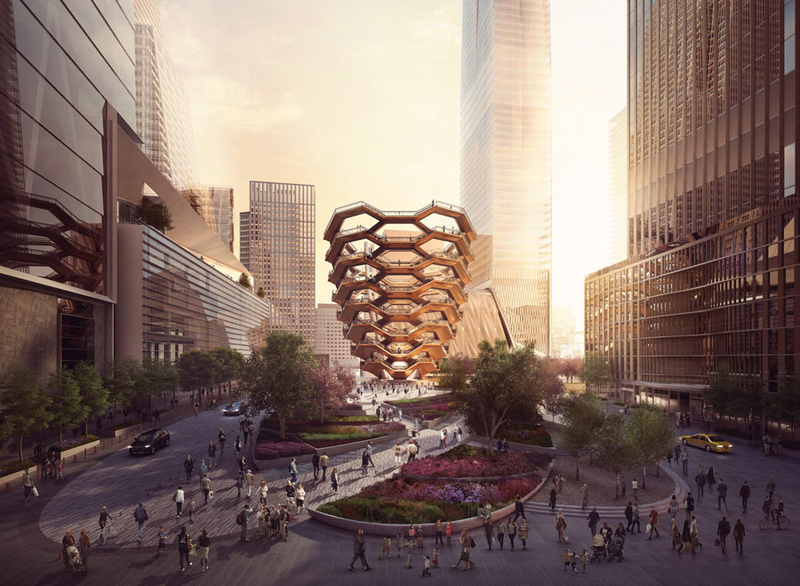 Hudson Yards promises to reshape the city on multiple scales. On the larger end, "the development of Hudson Yards fills a void in Manhattan's fabric which has prevented the city from having a dialogue with the Hudson River," explained Pedersen. 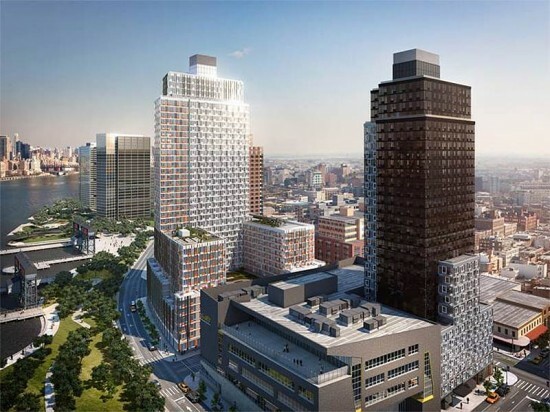 Related commissioned a wide slate of architects "to purposely create variety and juxtaposition, which is the dominant characteristic of Manhattan's iconic skyline," he said. 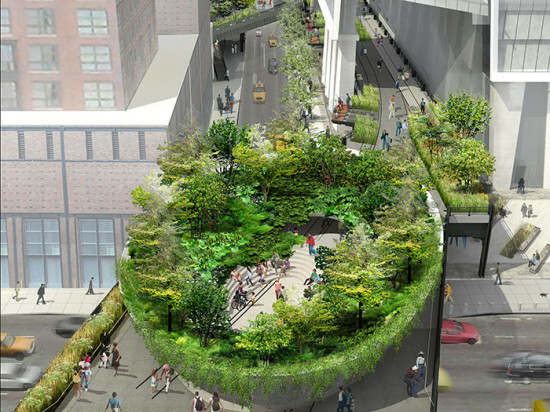 As important as Hudson Yards' impact on New York City's skyline, said Samuelian, is its capacity to create a welcoming streetscape. "We put considerable effort into ensuring we have warm, appropriate materials below 150 feet," he said. "Each building changes as it comes down to grade to give civility to the skyscrapers, to make them more humane participants in the street life of the city." Pedersen concurred. "The dominant characteristic of our buildings is their gestural capacity," he said. "They do not stand in isolation but rather seek an active relationship with every aspect of the context they engage, including the pedestrian on the street." Catch up with Samuelian, Pedersen, and other AEC industry leaders reshaping New York's built environment at Facades+NYC. Register today to secure your space at the symposium and in a lab or dialog workshop of your choice. 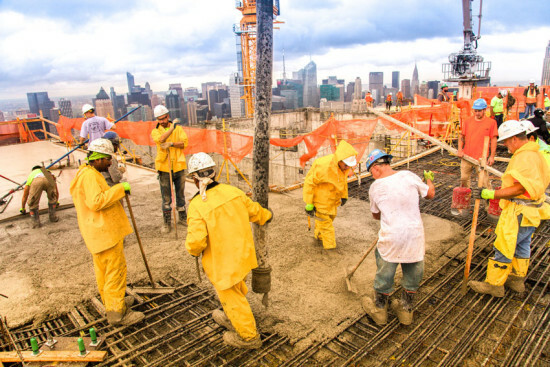 The final bucket of concrete anointed the top of Kohn Pedersen Fox's 10 Hudson Yards today. Built to LEED Platinum standards, the 52 story office building, at 30th Street and Tenth Avenue in New York City, is the first of sixteen buildings on the 28 acre site. Unusual among commercial skyscrapers in New York, a concrete superstructure and a concrete shear wall account for 98 percent of the building's weight. So far, SAP, VaynerMedia, Coach, and L'Oréal, as well as four other undisclosed tenants, will move into the 1.7-million-square-foot tower beginning March 2016. 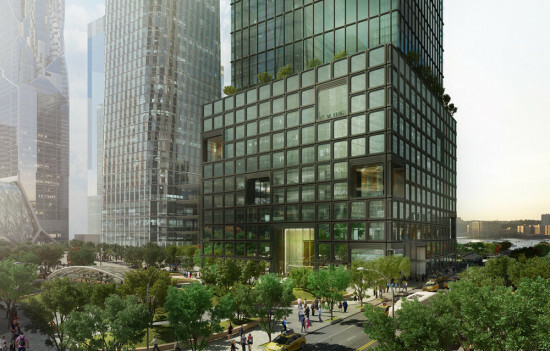 If they leave their desks, workers can enjoy direct access to the High Line from the building, as well as Hudson Yard's 14 acres of open space. Developers Oxford Properties Group, Related Companies, and Tutor Perini reinforce the building's luxury branding by noting that its three stormwater tanks can hold 1.3 million grande pumpkin spice lattes. The latest piece in the ongoing saga of Citi Bike actually contains some good news. The Wall Street Journal first reported that Related Companies, through its affiliate, REQX Ventures, is close to finishing a deal that would inject millions of dollars into the struggling, but popular, bike share system. 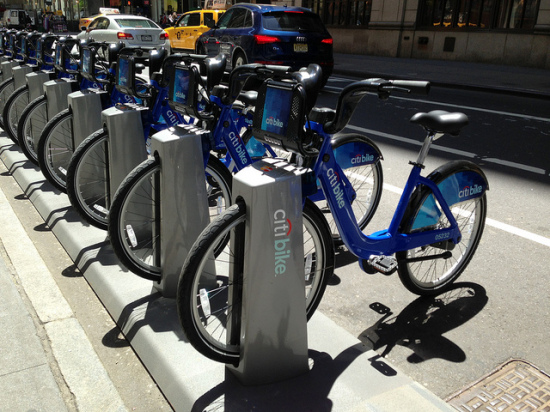 The influx of cash would allow Citi Bike to expand into Upper Manhattan, Brooklyn, and Queens. It would also almost double the program's current number of bikes to 12,000. The program originally promised to deliver 10,000 bikes at its launch under the Bloomberg administration so there will be an extra 2,000 bikes crisscrossing the city. This, of course, comes with a cost. The Journal reported that Alta Bicycle Share—the company that operates Citi Bike—could raise the yearly membership price from $95 per year to $140 each year. A subsequent New York Times piece said membership could actually increase to $155 per year. 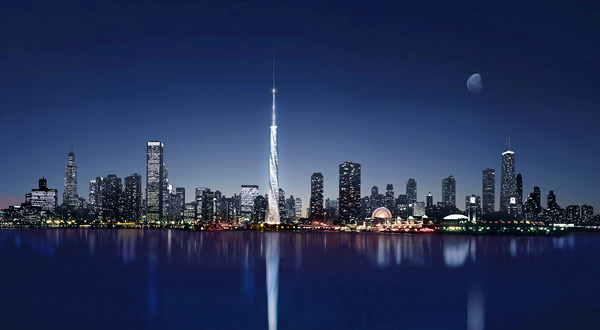 According to the Times, the expansion could begin next year with an expected completion in 2017. "The arrangement would wrest control from Alta, the company, based in Portland, Ore., that has partnered with the city to date, and give it to REQX, a venture formed by some principals of the real estate firm Related and the fitness chain Equinox," the Times reported. "REQX would also assume a majority stake in Alta’s other systems, in cities like Boston, Washington and Melbourne, Australia. The agreement could be announced as early as this week, though officials cautioned that a deal had not been completed." 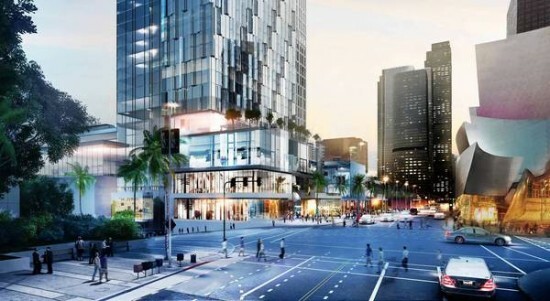 Back in 2004 it seemed like Downtown Los Angeles would be getting one of the largest developments in the city's history: the $1.8 billion, 3.8 million square foot Grand Avenue Project. Overseen by a city/county entity called the Grand Avenue Authority and developed by the Related Companies, the project would insert residential, retail, hotel, and park spaces into the city's long-struggling core. 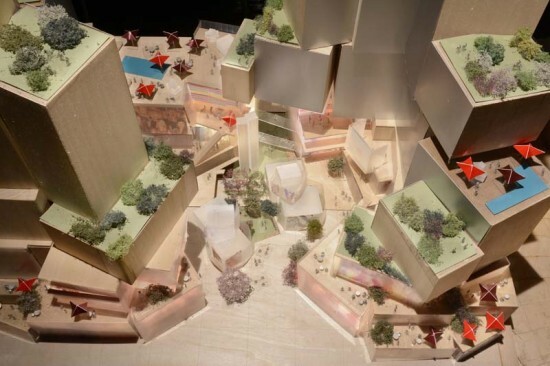 Just a week ago it seemed like that dream was dead, when the Grand Avenue Authority voted unanimously to reject new architectural plans by Related, which included a sharply reduced scope, and a whole new team of designers. (Gone is Frank Gehry, in for the master plan is Gensler.) But on September 30 the Authority voted to give the developer a four month extension to adjust the plans. Whether the authority will move ahead after is still very much in doubt. The only sure things at this point are the 16-acre Grand Park, across from The Music Center, and Arquitectonica's 19-story residential tower, just south of The Broad, which broke ground several months ago.